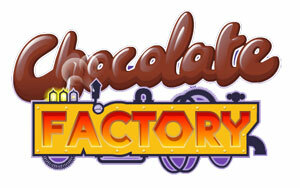 Chocolate Factory Slots is an old game from the creators of the best online slots games on the internet – Microgaming. It was released in late September of 2006. However it is a great fun game to play, which can make you win big. The game is a bonus video slots game. It has 5 reels and 9 paylines. With 34 winning combinations you definitely have the chance of winning big. The big jackpot is of 8000 coins, and the second jackpot is of 1000 coins. You have the choice to bet up to 45 coins, with their sizes varying from $0.05 to $0.50. The theme of the game is chocolate and the symbols in the game are varying from Doctor Chocolate, confectioner, a candy girl, a praline shell, Turkish delight and a Chocolate coin. The wild symbol is the Doctor Chocolate, and the scatter symbol is the confectioner. A nice addition to the game is its autoplay mode. Moreover it has bonus games on the second screen, which are named “Bonbon Box” and “Dunk-a-Treat”. Chocolate Factory Slots is a nice and a fun chocolate-themed slots game to play, with the opportunities that it gives you to win big.